Though it's been written here, it goes without saying that this FilmLandEmpire contributor would like nothing more than to travel the world's film festivals and see all the films on offer. All of them with a packed lunch made up of very quiet food and plenty of water and nicely brewed tea/coffee options at hand. To be able to nonchalantly observe that 'Yes, I saw it at Cannes' is an actual life goal. So it was with Oyster card at the ready that this film fan happily donned the red cloth string that held my pass to attend the near neighbourhood based London Film Festival. 2012's LFF was marred a little bit by a slight case of blood poisoning (true) and this year was restricted by the unplanned for absence of my trusted familial dog sitter - also true. So though I did not see every film I had hoped to see, ie all of them, below is some of the films that were highlights or not especially memorable-lights to me from the festival. 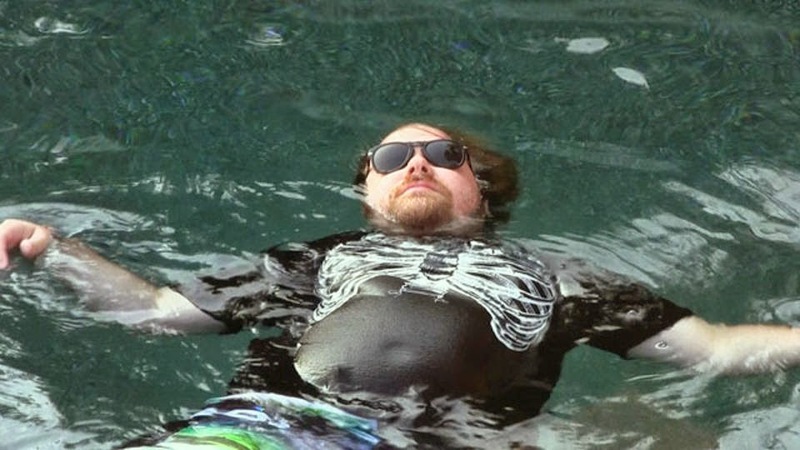 Some of my favourite films of 2013 featured in LFF. As a documentary lover, The Armstrong Lie (Dir. Alex Gibney) was a fascinating look into the background of the Lance Armstrong sporting juggernaut and how a corporation-like personae can protect itself in a ruthless manner. Though it's easy to categorise Gibney's film as a sports documentary - which of course it is - it is also a stage on which a very human drama of a conquering hero can be played out. Understandable, outraging and all together human, The Armstrong Lie asks the very personal question of how far we, as humans will go when a lie can be masked in success and hope. The Do Gooders by film maker Chloe Ruthven follows her as she travels to Palestine in the footsteps of her charity worker or 'do gooder' grandparents who supported the Palestinian refugees against Israeli occupation. Filmed on a micro budget and at many times lacking a decisive narrative thread, the documentary does succeed at exposing the assumptions of foreign do gooders attempting to enjoy the donning of a self-congratulatory charity Scout-type of badge as they spend time as charity tourists in Palestine. The obvious but so often overlooked rudeness of not bothering to learn the language of those you purport to want to help and understand is but one example of an ill considered do gooder aspiration. How We Used to Live (Dir. Paul Kelly) is a collection of archival colour footage of London from the 1950s to the 1980s. With a soundtrack provided by the band Saint Etienne, How We Used to Live is pleasingly hypnotic in it's aesthetic choices as one cannot but help to compare and contrast Oxford Street, for example between then and now. However, the film does prove to be rather repetitive and the hypnotic nature might well leave you longing for an afternoon nap. Onto my favourite documentary of the festival, Mistaken for Strangers directed by Tom Berninger. The documentary's director is the younger brother of Matt Berninger lead singer of The National. With nine years between them and Poles apart in terms of personality traits, the documentary takes in Tom's time as a tour assistant for the band and all the ups and downs he experiences along the way. The film is quietly very self aware and who exactly is filming needs to be questioned along with how choreographed scenarios may or not be, but the film makes for interesting entertainment. The live scenes of the band, for a fan as I am, are particularly impressive and seeing this film surrounded by a good sound system is to be strongly advised. The reflective and familial moments of Mistaken for Strangers are insightful with many people being able to see, at least in part, their own family struggles and dynamics through Tom and Matt. Sixteen by British film maker Rob Brown has the benefit of a strong central performance by Roger Jean Nsengiyumva playing a 15 year old former Congo child soldier now living in the urban jungle of his adopted West London. Though with some odd casting choices in places, it is Nsengiyumva a real talent, who shines through in a film that is hopefully the start of his successful acting career. Another British film is Blackwood. This film longs to be an engaging Gothic thriller and though it tries very hard and does have a less than obvious twist, it does feel quite heavy handed in how it goes about things. That said, it includes Greg Wise actually being in a film which is quite the rarity. Blackwood, except for a wasted cast, doesn't have a lot to recommend itself with. Dividing fellow film reviewers was Afternoon Delight. Filed under the Laugh section of the programme, Afternoon Delight is somewhat light on laughs but more pronounced on looking at upper middle class 30 something social guilt and boredom. Seeming to have it all Rachel (the ever reliable Kathryn Hahn) brings home a ticking bomb in the shape of a younger stripper she has fixated upon and taken home. Perhaps looking for a project or an escape plan, Rachel throws the dice as she struggles with a life she is unsure she wants or needs. It is easy to categorise Afternoon Delight with a eye-rolling dismissal of poor-little-rich-middle-class-people, but writer/director Jill Soloway does show bravery in addressing lives that can feel suffocating due to their conventions and expectations. Onto the real highlights of the festival for yours truly. These are in no particular order as they all have their strengths. Starring the going-from-strength-to strength Olivia Wilde, Jake Johnson and Anna Kendrick, Drinking Buddies positively nails the at times tightrope walk of friendship between hetrosexual men and women. This film is an example of when everything and nothing happens but manages to be both recognisable and uncomfortably accurate when lines in the sand could be crossed. 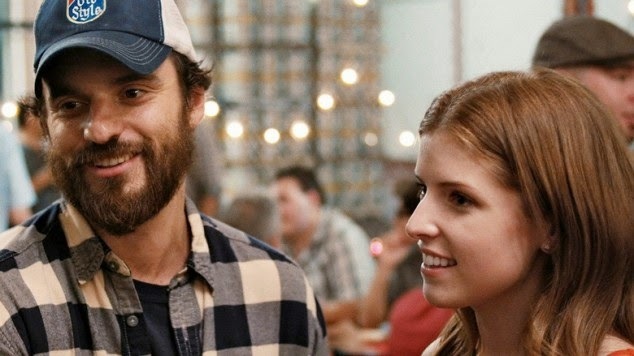 Drinking Buddies is arguably one of those films that you give to people to help them learn to navigate life as an adult and watch the lessons sink in like good beer. Gravity was experienced in full 3D glory and justified the outrage of having to wear glasses over my spectacles to enjoy it's full effects. Hinged on a story that isn't overly new but set in a less familiar setting, Gravity will most certainly have the words 'And the Oscar goes to....' fixed before it on numerous occasions come award season. At the rare blessed running tim of 90 minutes, Alfonso Cuaron's film takes hold and doesn't let go. Indeed, I shall happily admit to holding both my breath and my coffee cup for long stretches of time as the film's exceptional soundtrack ramps up the tension to near breaking point. Sandra Bullock and George Clooney lend their class to the project that is a truly cinematic experience with their star power making the film incredibly and wonderfully immersive. Alexander Payne likes a road trip story and has created another one in Nebraska. Filmed in black and white, we follow David (Will Forte) as he tries to wrestle his father Woody (Bruce Dern) away from and then along his endeavour to collect what Woody believes is a one million dollar prize. Jam packed with run down small town America and family history, Nebraska achieves universal levels of relatibility to a family we have just meet on the screen. The film is festooned with great performances from the entire cast, especially June Squibb as the more than memorable family matriarch Kate. Indeed, Squibb has one of the best lines ever said on screen and you will know it when you hear it and joyfully recall it with a smile for ever more. Though it is never easy to pick a favourite film, All is Lost might well be mine from LFF 2013. 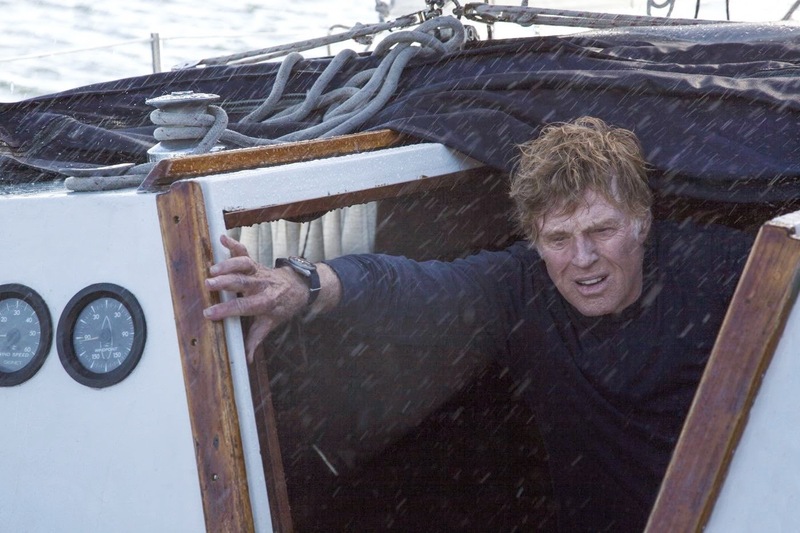 It is Robert Redford on a boat, thinking. It is marvellous. With just a delicate sprinkling of Redford's oak soaked tones, we are treated to seeing this tremendous actor creating a character not from dialogue, but completely from his character's thoughts and actions. It is a tremendous work from beginning to end; thoughtful, physical, dramatic and moving. All is Lost is a film to savour and deserves to be enjoyed as a full cinematic experience at the alter we all worship at, the cinema.